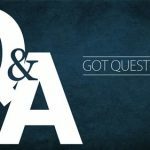 What is the Best Diamond Clarity? We get this question quite a lot, when we want to buy loose diamond, What is the best diamond clarity should we look for? 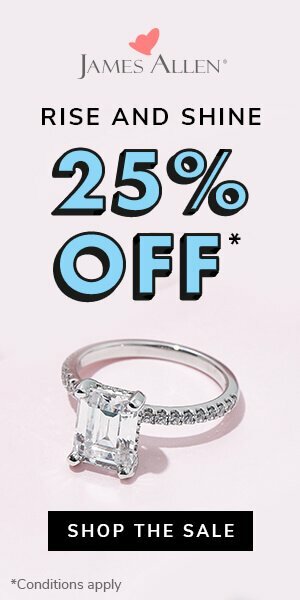 What is the best minimum diamond clarity that I can get while I maintain a high quality diamond “shining”? The clarity of a diamond is defined by the number of blemishes or inclusions it has. The blemishes and inclusions occur naturally as the diamonds are being formed deep within the earth’s core. Blemishes are imperfections on the surface of the diamond. Inclusions occur within the diamond itself. A diamond’s clarity is determined to what degree the blemishes or imperfections can be seen. The diamonds that have fewer imperfections are more likely to look more brilliant and reflect better. This is because the light that passes through the diamond is not obstructed by the blemishes or inclusions that occur within or without it. Where the blemish is positioned is also a factor that influences the clarity of the diamond. Imperfections around the bezel facets or near the girdle are less likely to be seen. 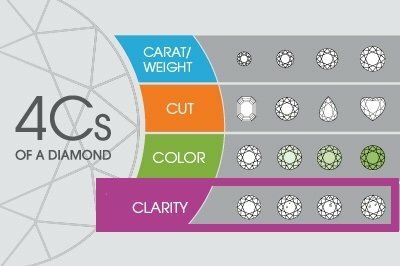 Diamonds with this feature are regarded as having better clarity. Until the middle of the last century, a single classification of the diamond’s defining characteristic did not exist; the stones were distinguished according to the Old Term simplified color system. The question: What is the clarity of a diamond? until that time almost did not rise. 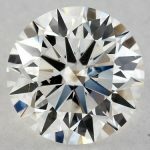 So in this article, we will see to which clarity grade we can go (up or down) to maintain a high quality diamond that will not affect its brilliance “that much”, but before that, let’s just understand well what is diamond clarity and how much it affects brilliance (and diamond overall look). Diamond clarity: is a collective concept that implies the presence or absence of defects inside or on the surface of a stone and the determination of the degree of their significance. During the examination, which determines the clarity index, it is customary to use a gemological 10x magnifier. In the process, the gemologist is guided by the principle of maximum finding of internal and external flaws. To conveniently classify the detected damage, a special table was developed. It details the gradations according to which the stone has one or another number of defects. Diamond clarity refers to how easy it is to see flaws (inclusions) in a stone at a tenfold magnification, as well as to the naked eye. Diamonds that are internally flawless but contain external blemishes are designated as IF. The blemishes are very difficult to see at a glance and even with magnification. Flawless (FL) diamonds do not contain any blemishes or inclusions, under the lens of a 10x magnification, these diamonds are VERY rare. These contain inclusions that are so small that they are very hard to spot even under the 10x magnification used by a gerontologist. The clarity of diamonds in this grade is less. They have minute inclusions that are barely visible under 10x magnification. Clouds, feathers, and crystals are some of the imperfections that reduce the clarity of the very slightly included diamonds. Clouds, feathers, knots, crystals, and cavities can be clearly seen in an S1I and SI2 diamond by the jeweler loupe, and for SI2, it can be seen with naked-eye, less possible for an SI1 diamond in most cuts. In this case, the diamonds have inclusions that are even more obvious to the naked eye and reflect even more clearly under a gerontologist magnification. They are still sold even though most customers prefer other diamonds with more clarity. The imperfections such as cavities, knots, feathers, clouds are mistaken for cracks and smudges. Diamonds that are included do not shine are well as other grades of clarity. 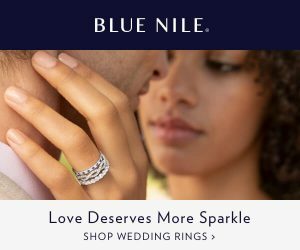 Now back to our main question: In order to put my money into the right place, which is the diamond clarity level that I should get? And not exceed it. If you want the quick answer, get a clarity level that is “Eye Clean”, period. In many cases, it depends on what the customer wants, some seek uniqueness, others are on budget, many are very cautious and prefer to stay “very safe”, and my advice for all of them is: Get the most Bang for the Buck! 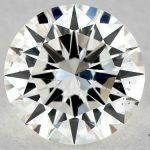 What is the Best Diamond Clarity For You? 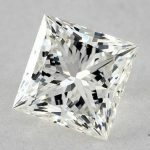 Now that the different grades of clarity have been clearly described, it will be easier to choose what grade of clarity is the best in diamonds. When choosing a diamond, the best type of quality is actually determined by the customer’s wants. 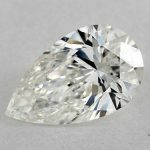 A diamond that is rated Fl-IF or VVS is the best option to go for if the goal is a flawless high quality diamond with an almost perfect appearance. The diamonds of flawless or near flawless clarity are expensive. A VS (very slight inclusion) diamond is the best choice to go with when seeking high quality on a budget. 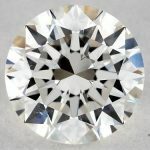 Since the inclusions are not visible to the eye, this clarity grade is perfect, but still, many higher VS grades are very expensive, and honestly, a lot of money put in this grade will not reflect that much in clarity and shining. 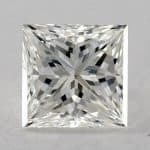 If you’re getting a diamond with average carat (1-1.5), you may want to get a diamond that’s eye-clean, and nothing more, because in most cases, imperfections will not appear at all for naked eye, and this starts at grade SI1. As mentioned above, the location of the imperfection matters in determining the best diamond clarity. If the blemishes and inclusions occur at the side of the diamond it is better than when they are situated in the center of the stone. The best diamond clarity is not the highest grade as we saw above. It is determined solely by what you want and can afford. When set on a stone and worn, diamonds of different grades of clarity might actually look the same. The blemishes and inclusions will be impossible to see with the naked eye. It can only be seen under magnification. Therefore, if you are not very concerned about getting a totally flawless diamond, you can get a diamond within the grades of SI1-VS2. 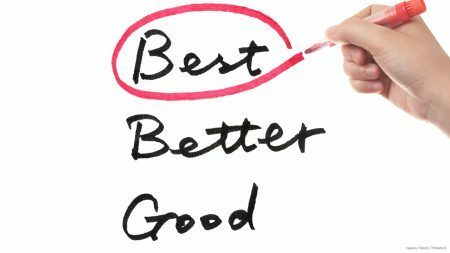 It is much better to go with a lower grade of clarity than to overspend on a higher grade of clarity that will not be noticed by the naked eye. Getting an eye-clean clarity diamond will ensure that no one will tell the difference between diamond clarity levels, from the table above, Most of SI1 & All above are ALL considered eye clean, their imperfections are not visible under any circumstances for naked eye. And if you just want to be a little safer, just go a level up, VS range will give you the best value for money, so rest-assure while you’re choosing within this range, and don’t get sold to retail stores, this is the most point they argue on, the Clarity. For example, here are 3 diamonds listed on James Allen. Each of the 3 are Ideal cut round diamond of 1.00 Carat weight and an E color. The only factor that changes is the diamond clarity. As you can see you will be paying a premium of 25% for the VVS1 diamond clarity grading even though it is more then likely that you will never be able to tell the difference between it and the VS1 (I don’t recommend this SI1 for the imperfections on the table, but generally speaking, you can find a lot of eye-clean SI1). Save your money, and get an SI1 that’s an eye-clean, we highly recommend online stores like JamesAllen where you can view diamonds real images with 360 degree images so you can be 100% sure of spotting anything on the diamond. If you want be a little safe (not always necessary if an SI1 is very clean piece), go one grade higher to VS2, and nothing more. Feeling a bit lost? No worries, just contact us and we will be glad to offer you a free help to get you the best diamond for your budget.